This paper dates back to the Middle Ages. Often referred as Paraffin Paper, this paper is made moisture proof through the application of wax directly on to the paper. 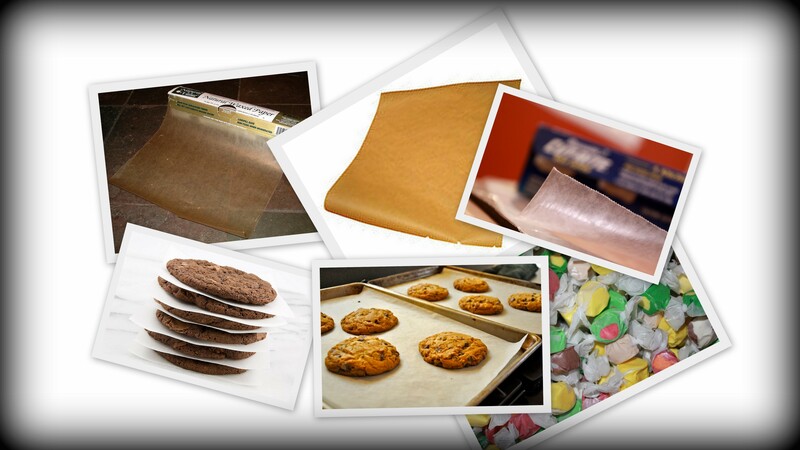 Used throughout the baking industry in both commercial and residential kitchens. Its non-stick properties, its ability to wrap food for storage as well as keeping moisture out makes this a very popular paper. This paper can also show up in Specialty applications where a "slip" is needed or grease proof resistance. We can provide a total range of Waxed Paper offerings when working with you to define your project, all while giving you the option of having us hold Inventory for you. Below are the typical Wax offerings most common seen. Please contact us for just a quick question or to discuss your new project - we are listening!! Lining cookie sheets, cupcakes, breads, pies, desserts. Due to its high dialectic strength makes Wax paper a very practical electrical insulator. Common uses are coil winding separators and capacity dielectrics. Applications requiring resilience where there is a potential different up to order of a few thousand volts per layer.